There are a few minerals and metals which are destined to ride the coattails of the electric car and electro-powered greening boom: lithium, graphite, nickel, cobalt... a few rare earths as well. And now, like a number of metal commodities enjoying a resurgence, nickel is another which can thank the increased use of lithium-ion batteries and electro-powered greening for what is expected to be an upsurge in popularity. But nickel is different, because it’s not just tied to electric vehicles. It’s related to Chinese manufacturing, export bans, stainless steel demand, and geo-political factors, which could create optimal market conditions as today’s ASX stock comes into production. However, it should be noted that for political and social reasons, this is a very high-risk stock. Getting mining projects up and running in countries such as the Solomon Islands is no simple feat, and there may be challenges ahead. Nickel’s popularity, particularly among investors, will be of utmost importance as it moves beyond traditional use in stainless steel, magnets, coins, plating, alloys, castings, chemicals and into rechargeable batteries including lithium-ion batteries in electric cars. Savvy investors would already be aware that nickel plays just as big a role in lithium ion batteries than does lithium or graphite. In fact nickel could be the metal that gives them a point of difference. When looking at the nickel price, it seems when it moves it does so very quickly. 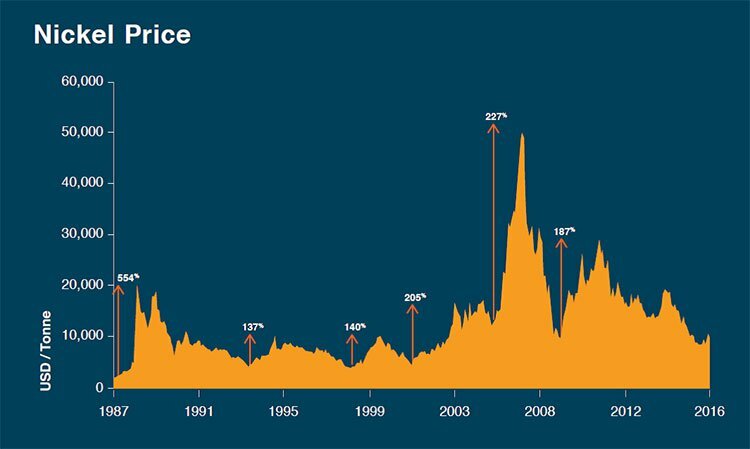 According to Bloomberg, previous rallies in nickel prices have occurred within 3-6 months after LME stocks peaked – with corresponding nickel price increases of 150-300%. The biggest consumer of nickel is China, and their consumption of nickel, and other specialty alloys, is widely predicted to rise as its economy shifts away from construction with steel and further towards consumer driven products. On top of new uses for nickel in lithium ion batteries, China’s dependence could already be enough to keep the nickel market strong in the future. But, there is another macro factor that could serve to help nickel explorers/producers looking to make an impact in the market – the crackdown on nickel ore exports by the world’s leading suppliers. Between the three nickel producing countries – the Philippines, New Caledonia and Indonesia – it’s estimated they produce a whopping 80% of the laterite nickel ore globally, and almost all of the supply needed for Asia. Indonesia, which holds the largest nickel reserves, banned nickel ore exports in January 2014. 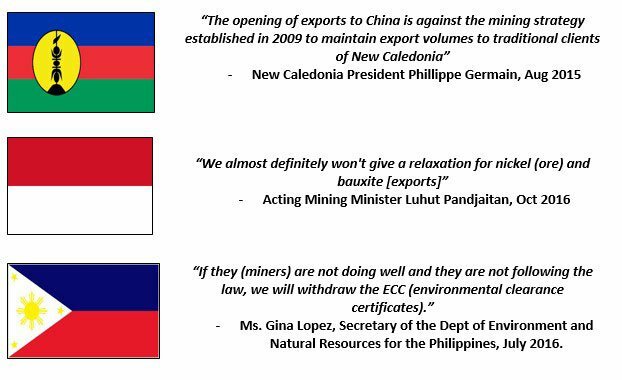 Meanwhile, the Philippines – currently the world’s top supplier of nickel ore – is clamping down on production and exports of nickel due to environmental violations , ordering the suspension of 20 mines in September last year (following the closure of 10 mines in August). This resulted in a spike of global nickel prices by about 10%. 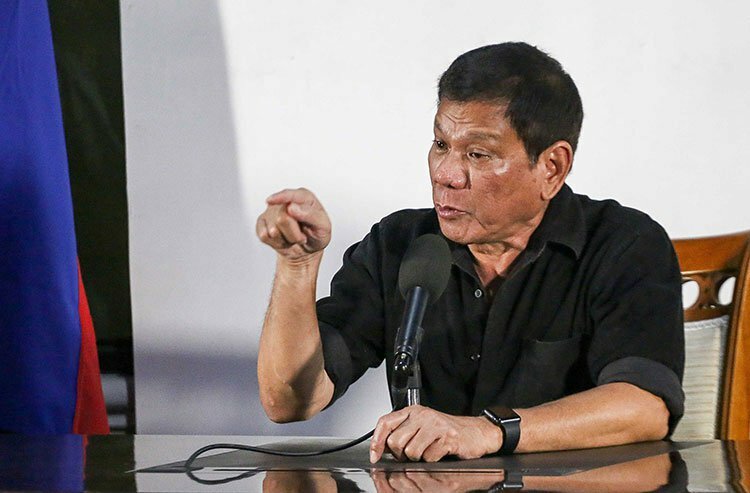 That quote above came from Philippines President Rodrigo Duterte. Maybe he thinks Filipino nickel miners are drug dealers too ? Anyway, it is good news for aspiring nickel miners in other jurisdictions! When you put two and two together, there is an increasing gap in the market for supply to China, which could also mean that the nickel price may rise due to lack of supply. So what will China do to feed their desire for nickel? Most likely, they will look to other sources of supply. That leaves today’s aspiring ASX nickel producer set to take advantage of a promising macro setting of supply interruption among top nickel producers, combined with increased demand from the world’s largest consumer China, with its growing appetite for stainless steel. Today’s company is the only Direct Shipping Ore (DSO) nickel laterite company on the ASX, with significant exposure to any upward nickel market forces. 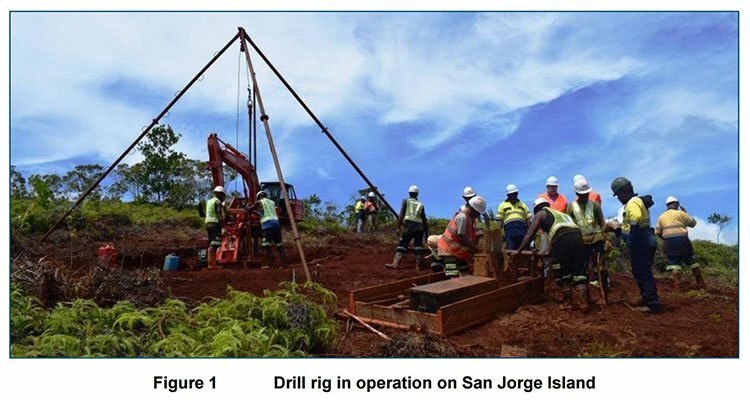 With highly prospective nickel deposits on the Solomon Islands, this company has set a rough target of 1 million tonne/year output of nickel laterite ore, increasing to 2 million tonnes a year by 2018. This money is on top of its global offtake partner providing access to a $15M financing facility along with an offtake commitment to 500,000 wet metric tonnes from this company’s first commercial production, including an offer to more for up to four years of production. With this access to further funds, in addition to the cash it currently holds, the company hopes to accelerate steps towards nickel production. It is certainly well on its way to production with a current drilling program – that has continued throughout the holiday period – delivering outstanding results as it heads towards its goal of providing a premium product to the nickel ore market in 2017. The current program is designed to establish an initial JORC Resource for the commencement of mining this year. A PFS is also currently underway, which will confirm project economics. The company you’re about to get to know has a simplified process, a good location, and a game plan for the future which could prove quick and profitable. Its plan is to tackle nickel mining with a simple method – Direct Shipping of Ore (DSO). Which basically means not having to worry about the messy task of processing; just get the raw stuff out of the ground and onto a ship and you’re done. Axiom Mining (ASX: AVQ) has found itself in possession of a nickel project in the Solomon Islands which over the years has attracted intense attention from blue chip players like INCO Limited (the largest nickel company of the 20 th century and now owned by Vale – the BHP of Brazil) and the $10BN market capped Sumitomo Metal Mining of Japan. The project in question is the Isabel Nickel deposit and due to global economic events, AVQ now finds itself in a position to achieve what others before them have failed to do: bring the project into production. 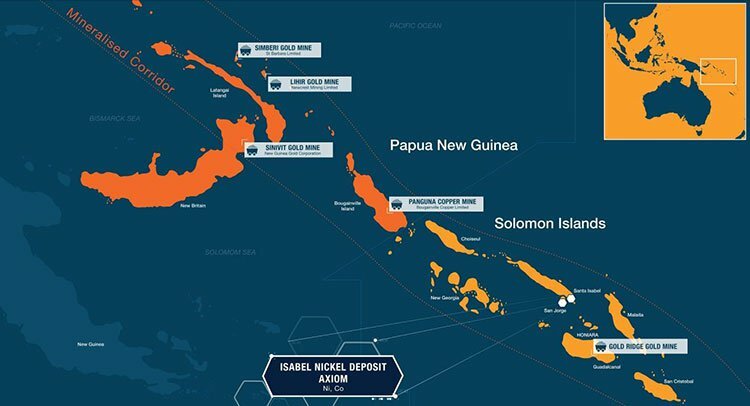 So let’s get this clear: two of the world’s top four nickel producers spent over a decade each trying to secure this nickel project in the Solomon Islands, but now it lies with this Aussie junior... and this little stock is getting set to capitalise. AVQ is hoping that once it begins production, which is slated for the coming months, it will be able to take advantage of the crippling supply interruptions coming out of the Philippines, Indonesia and New Caledonia, regions which all have import bans on nickel ore sent to China. As you can see Indonesia has a large amount of nickel as does New Caledonia, and but due to the export bans of unprocessed ore to China in place as Indonesia looks to (unsuccessfully at this stage) develop its own manufacturing industry, the largest consumer of this metal will be looking for other sources of supply. The landscape won’t be changing any time soon either if the word from these governments is anything to go by. Significantly, the ban on unprocessed ore in these countries really brings AVQ into play if and when it starts producing nickel, as China is expected to account for more than half of global demand by 2035. We will look at that in more detail shortly, suffice to say that AVQ already has in place an offtake and finance arrangement, with funding to see them through to a PFS and a JORC resource estimate. A drilling program is currently underway, and last month AVQ released the first round of encouraging results showing medium to high grade nickel hits, including: 10.3 m @ 1.55% Ni from 4 m including 5.4 m @ 2.00% Ni; 13 m @ 1.6% Ni from 2 m including 7m @ 2.146% Ni: and 16.5m @ 1.45% Ni from 2m including 8m @ 2.09% Ni. It’s now in the process of applying for a second exploration licence for a nearby deposit... while on a macro level, it is looking to enter a global market which could soon quickly find itself on an up-curve. So what does it have up its sleeve? The province of Isabel is mostly comprised of the 4,136 km 2 Santa Isabel Island. AVQ is hoping to add its nickel mine to this distinguished list of mines in the region. The Isabel project has two main parts – the San Jorge and Kolosori nickel deposits. INCO Limited explored the area for nickel in 1965-1975, collecting over 10,000 samples from drilling and pitting. Its plans to develop a mine there were disrupted by the national independence of the then British Solomon Islands in 1978. Next to explore the region for nickel was Kaiser Engineers, from 1991-93, wherein the group completed feasibility studies to confirm INCO’s earlier data. Drilling was concentrated mostly on the upper zone (called limonite) with an average drill depth of 5.5 meters. During this time, economic analysis and financial modelling was completed. 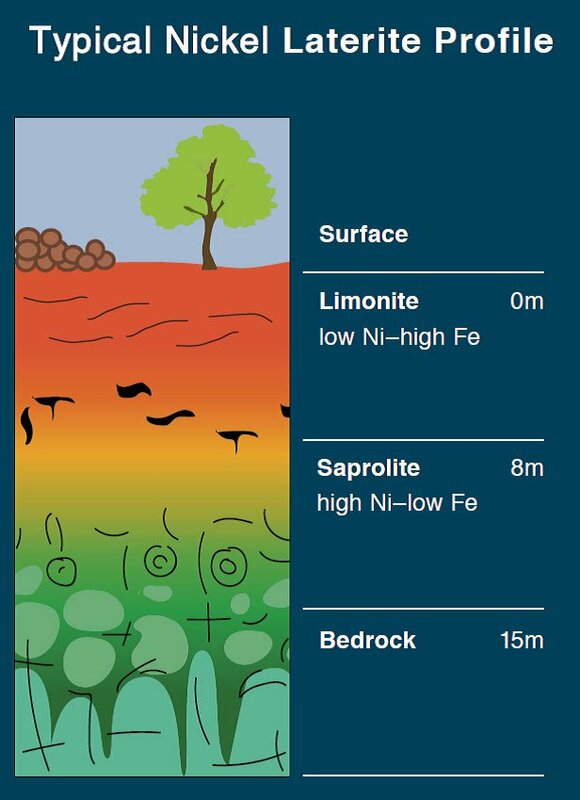 The upper zone of a nickel laterite is called limonite which has a lower grade but just underneath it is the higher grade saprolite. The saprolite is what AVQ is discovering at San Jorge, making this deposit even more attractive. Previous nickel explorers only defined the lower grade limonite zone back in the 1970s. It is worth noting here, that it hasn’t all been smooth sailing for AVQ, which only has rights to San Jorge. The Kolosori deposit has been the subject of a lengthy legal battle with Japanese giant Sumitomo Metal Mining , which had challenged the legitimacy of AVQ’s original lease applications and put in bids themselves. However, an appellate court found that Sumitomo should never have been allowed to bid for the tenements since it was in breach of local land-banking rules. 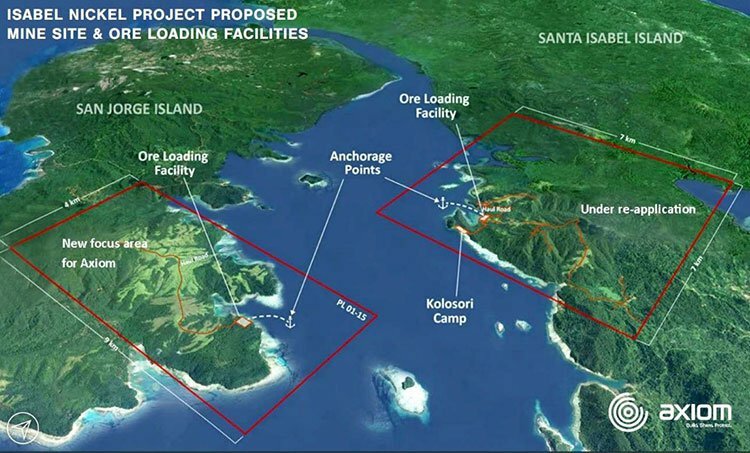 The decision against Sumitomo paved the way for the current program on San Jorge and AVQ has also re-applied for a prospecting license for Kolosori and is awaiting approval from the Solomon Islands government. Initial drilling of Kolosori shows that higher grades of nickel are abundant immediately underneath the previously drilled limonite zone... and considering it’s been so hard fought over, switched on investors would do well to pay close attention to what happens with this half of the project. However at the same time, investors should also take into account that AVQ is an early stage mining company and a speculative stock, and as such should apply caution to any investment decision. AVQ is the first company to drill the full geological profile of the San Jorge tenement – for which the company has a Prospecting Licence. A drilling program and other development activities are already underway, with the company aiming to complete its initial round of drilling, issue a maiden JORC resource statement and complete a PFS in the coming weeks. About half the historical drilling undertaken by INCO several decades ago took place on the San Jorge tenement. The nickel-containing mineralisation at San Jorge is located close to shore, and starts at the surface with minimal to no overburden. Saprolite, by the way, is decomposed and porous rock that’s usually rich in clay and found in humid or tropical climates. More intense weathering turns saprolite into limonite – which is why limonite is found at a level closer to the surface than saprolite. AVQ has strong landowner and community relations, the bedrock to beating the rest of the nickel industry to these deposits. In fact, AVQ has publicly stated its goal to begin mining within the first 6 months of 2017. And once that happens, it could be a one way ticket to swift share price uplift. AVQ plans to tackle its nickel project with a simple, cut-to-the-chase method: DSO. That stands for a “Direct Shipping of Ore” operation. Essentially, AVQ won’t need to worry about messy or costly processing – all it will need to do is get the raw stuff onto a ship (its nickel deposits are only 2-3km from shore). As soon as mining begins, it will produce economic nickel ore with virtually immediate access to water highways. In fact, it will take about 15 minutes on average to transport the ore to shore. At which point, AVQ get paid on board, raw ore leaves the Solomon Islands on a ship, and the deal is done. You can’t get a much quicker turnaround than that in the mining world. It is estimated to amount to just ~AUD$20M capex for the operation. So it’s a solid, low capex plan for AVQ, who are hoping to become one of the top three nickel players on the ASX, with an Isabel project mine life of 20-25 years... which would mean its market cap would be so much greater than its current $55M valuation. 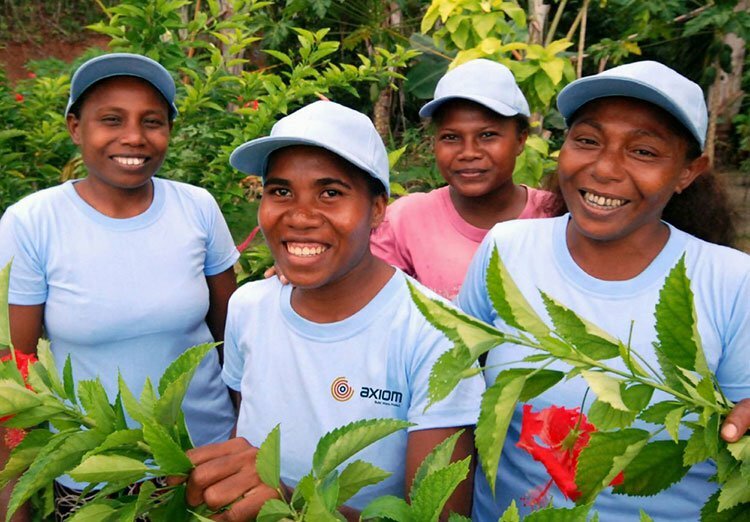 Importantly, the local community has given their support to the project – perhaps not too surprising considering the employment and proceeds could become one of the biggest components of the Solomon Islands’ GDP. The Indigenous people of Isabel province, Solomon Islands, have representation on project company board, with the landowning tribes at Isabel Province owning 20% of the joint venture. In August, AVQ executed a heavily oversubscribed capital raising, raising $5M from $3M sought. The successful cap raise was strongly supported by several new institutional investors along with Wilson HTM corporate finance, who acted as lead manager and who also recommended the stock to their clients with a “buy” rating. However, it should be noted that broker projections and price targets are only estimates and may not be met. The nearly 18 million shares were placed at $0.28 and, concurrently, the company’s CEO subscribed to $200,000 on the same terms. Currently the stock is trading at $0.14.5 per share, so new retail investors have the opportunity to pick up shares at a significant discount to this recent placement. And all that cash is going towards the development of the Isabel Nickel Project. 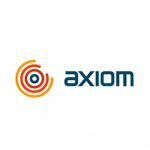 AVQ now has enough money to take it through another round of drilling, a JORC resource estimate and a Pre-Feasibility Study. As an added buffer, there’s AVQ’s financing partner, Gunvor Singapore, which has provided access to an AU$5M debt financing facility. Gunvor has also committed to the offtake of 500,000 wet metric tonnes from AVQ’s first commercial production at the Isabel site. In addition, the agreement states that AVQ could seek a further $10M of financing if the offtake agreement is extended out to four years. Gunvor, one of the world’s largest commodities trading houses, operates in more than 100 countries. In 2016 it generated a huge US$64B in revenue – so that is stable backing supporting AVQ’s nickel producing plans. AVQ’s market cap stands at about $47.2M at the moment, with a couple of major institutional shareholders including Ack Pty Ltd, Drake Private Investments, Anitua Ltd and InCoR Holdings plc on board. The top 20 shareholders hold about 34%. Results released in December 2016 provide confidence in AVQ being able to define a mineral resource and progress the tenement towards production in 2017. And if the conditions remain the same (low supply and an increasing demand from manufacturing powerhouse China) we could see a share price ascent in the near term. At the same time, plans can change unexpectedly, especially in getting mining projects off the ground, so invest with caution. This is a speculative stock, with no guarantee of success. Results in December showed [email protected]%Ni from 2 including [email protected]% Ni from 8m and [email protected]% Ni from 2m including [email protected]%Ni from 9m. If further imminent drill results are half as positive as what’s indicated by existing data AVQ will be marching very positively into the year ahead. In terms of AVQ’s catalysts, the company saw its first promising drilling results last month, and more results will be released to the market shortly, producing ready-made news flow every couple of weeks... which could well lead to a flurry of investor interest in the very near future. With nickel being an integral part of electric car batteries, stainless steel and plenty of other end products, the world needs it in ever-increasing amounts. Batteries used in electronic vehicles are consuming about 100 000 t of nickel demand and if 10% of the world’s vehicle fleet transitions to electric power , 400 000 t of nickel would be required on current yearly production of 1.95-million tonnes. And with the global race towards an electric-powered greener future, one thing seems sure – companies manufacturing fossil fuel vehicles are changing their tune, and wasting no time about it. How important is nickel to electric car manufacturing? This is all culminating in what may be the beginning of a significant and sustained price upswing. Yes, it is flat right now, but remember nickel prices quickly correct and given macro demand, this could be the case as AVQ edges closer to production. 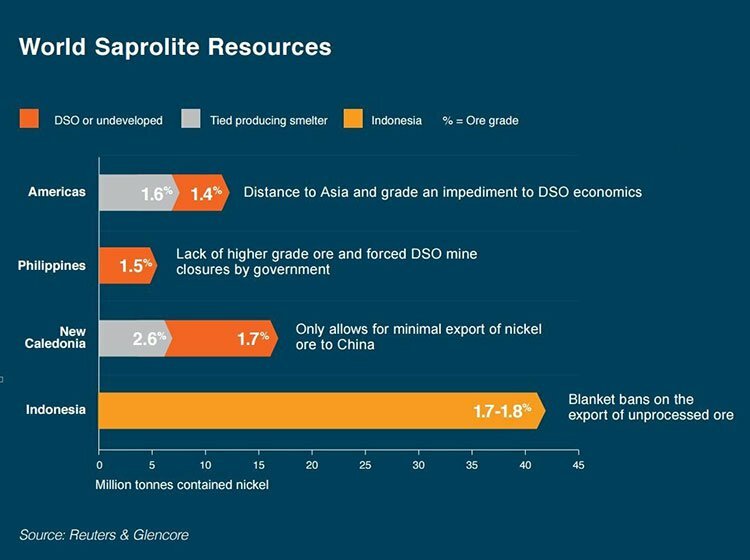 Some in the know (Macquarie Wealth Management, for example) have high hopes for nickel on the basis of evidence of disruption to China’s traditional business model, whereby it will be sourcing raw material, thanks to the fact it now has the capacity to produce a refined product. On top of global macro factors, specific upside for AVQ, is also the 20 odd collective years of legwork already completed at the Isabel Project site – holding a deposit which is one of the richest green field nickel-laterite deposits in the Asia Pacific region. Success here, particularly if the nickel price rises, will likely make AVQ the best beneficiary on the ASX as far as nickel mining is concerned. Their current plan could make for a high-earning yet simple operation of a world class resource. And soon. The commodity market landscape has been turning around in recent months; the bottom line, for plays like AVQ, is that it sees an opportunity to produce raw nickel ore at a low cost, when the market is at a premium. As mentioned earlier, AVQ has already started their latest drilling program. The first round of results from initial drilling released last month came back positive, showing medium to high grade nickel: 10.3 m @ 1.55% Ni from 4 m including 5.4 m @ 2.00% Ni; 13 m @ 1.6% Ni from 2 m including 7m @ 2.146% Ni: and 16.5m @ 1.45% Ni from 2m including 8m @ 2.09% Ni. Further assays are due to be released as soon as they’re available. Following that, the company aims to define a JORC resource estimate of both project sites – Kolosori and San Jorge – which may need to wait until the re-application process for the Kolosori deposit is complete. Through all of that, the company will hopefully get a better idea of how much nickel ore can be expected for the first year of DSO mining at the sites. AVQ will continue its community and social programs with the Indigenous community at Isabel province, as well as completing important environmental studies necessary to proceed with mining. Its focus for now is still on the San Jorge tenement – a holding making up approximately 50% of the known world class Isabel nickel deposits. And it is on track to fully defining the grades of mineralisation, as well as its parameters for mining. And a big milestone for AVQ will be a Pre-Feasibility Study for the Isabel project which it aims to have competed by early 2017. Also bear in mind the potential issuance of a prospecting licence for the Kolosori deposit – the one that has been the subject of a legal battle with Japanese company Sumitomo, which could provide another share price kicker. If the company can achieve both of these within the next few months, we could see the tipping point between trying and succeeding for this determined nickel explorer... it is progressing through the stages, with a solid aim of running an operational nickel mine in 2017.